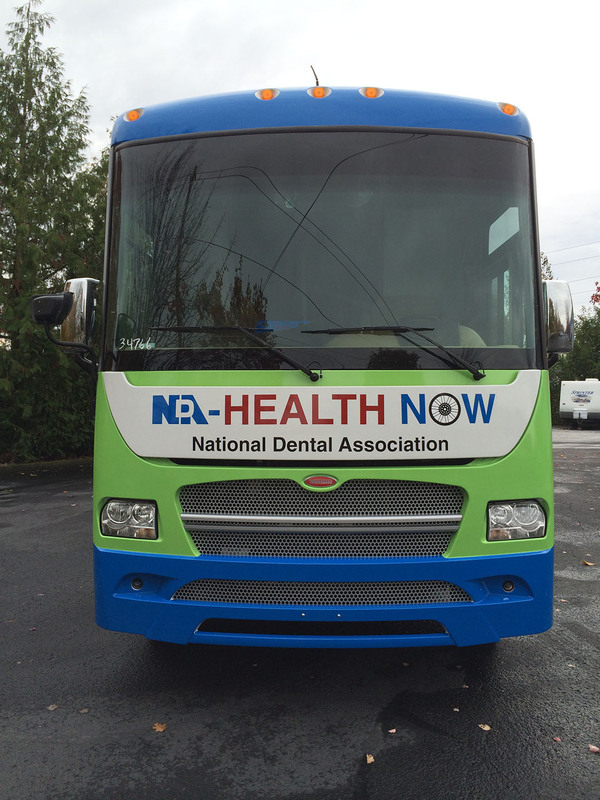 The National Dental Association-HEALTH NOW™ mixed use mobile health unit (MHU), designed by ADI-Mobile Health, headquartered in Tualatin, OR, is touring the country to raise funds and crusade for healthier communities. 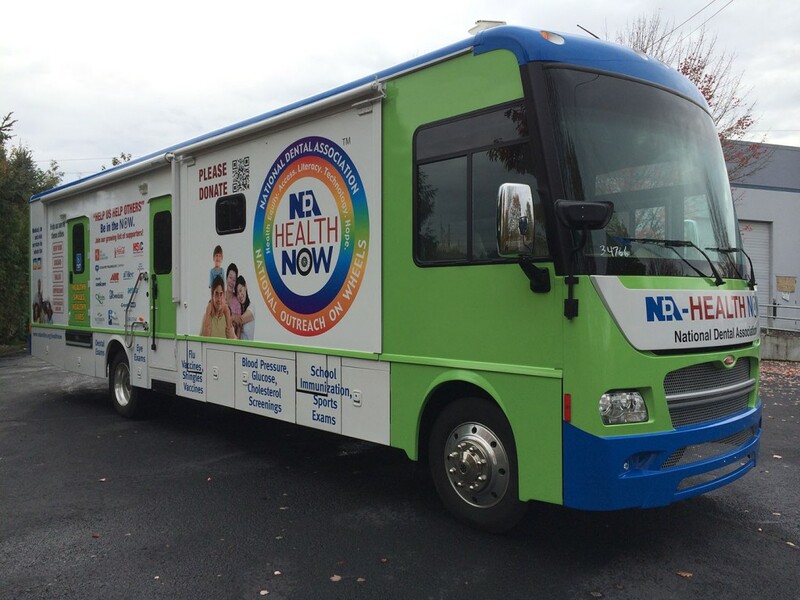 The unit will be on display in New Orleans at the Morial Convention Center during the American Public Health Association meeting (November 16th-November 19th, 2014), and will also be on display in New York during th Greater New York Dental Society Meeting (GNYDM), November 29th-December 3rd, 2014). 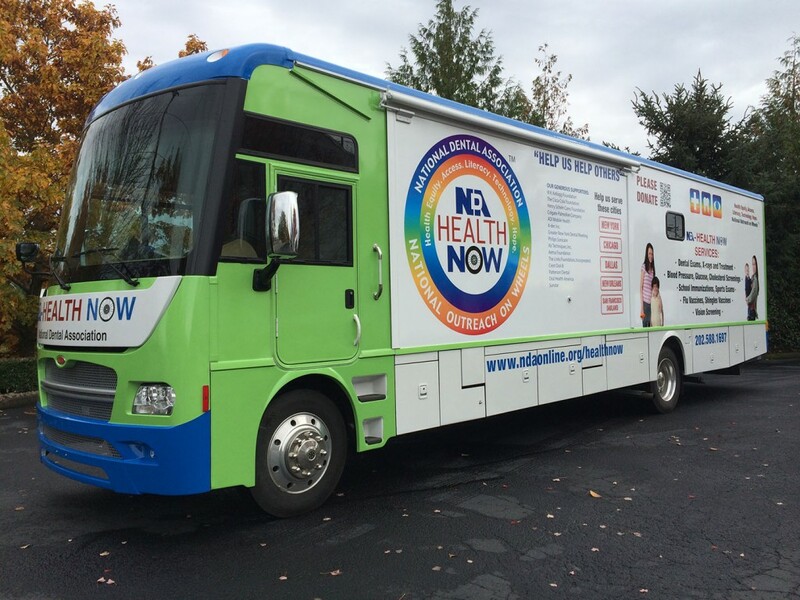 The unit, design, and exhibition were made possible through the generous donations of ADI-Mobile Health, Schein, and the GNYDM. 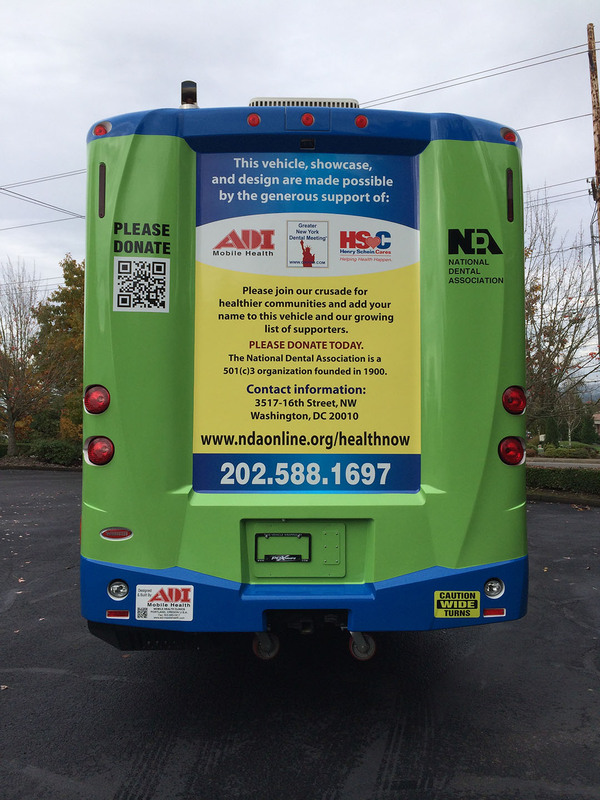 The MHUs will provide resources and services to underserved communities. Other sponsors and supporters include: The W.K. Kellogg Foundation, The Coca-Cola Foundation, the Henry Schein Cares Foundation, Colgate, A-dec, Inc., Philips Sonicare, Air Techniques, Inc., the Aetna Foundation, the Links Foundation, Incorporated, Crest-Oral B, Patterson Dental, Oral Health America and Sunstar.